The Roman Gold Mines at Dolaucothi are a unique site covering many hectares of woodland and pasture in northeast Carmarthenshire. They are owned by the National Trust, and are open to the public. 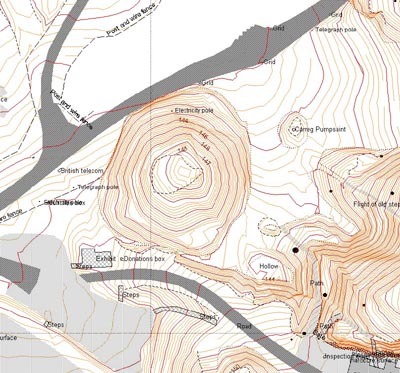 In 1999, the National Trust commissioned Dyfed Archaeological Trust to undertake a detailed topographic survey of the core area of the mines to inform their programme of conservation and research on this unique site. Additional areas were surveyed in 2002. As well as recording known archaeological elements of the gold mine, such as Roman opencasts, leats and tanks, previously unknown features were discovered and recorded during the survey. The final survey drawings were presented using GIS.